Today is a special day. Not merely because the sun is shining, but because I am hosting my very first guest post! He’s been a favorite of mine for quite some time, and I can always count on him to ferret out the quirky and the odd while traveling. And he travels a LOT. Often for business, but also for pleasure. And who can forget this gem? Valentine’s Day. It made me actually swoon. Without a doubt, The Unexpected Traveller has a way with words. 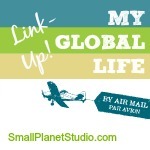 But what he sent over for this guest post just blew me away. There are vague memories. Half-constructed images with dream-like consistency that fade away into nothingness as I try to bring them into view, aided and almost preserved solely by the yellowish photographs that my Mum keeps in a box somewhere. I remember the retro-futuristic phone, green and solid, that my grand mother reminded me of when, years later, she pointed out that our new shower head looked like that phone’s handset. These memories are from a land that time forgot, England up till 1981 which was when we moved to my parents homeland of Malta, in the Mediterranean. The first real memories start to come to the fore here. I recall my father climbing into a large truck that somehow had all our furniture from England and he drove our car out of it. It looked unusual there; a familiar item parked on the street in front of my grand parents’ house which is not where it usually belonged. I remember trying to use my toy robot in grand father’s balcony and feeling rather cross when I noticed that the robot’s ejector hand slid through the drain pipe and could not be found again. A helpful cousin suggested using a match stick instead of a robot hand. It fit comfortably and the ejector mechanism still worked well, but the robot seemed to sulk at the thought of using something made out of wood. I remember wondering why we could not have colour television in Malta when we had it in England but that is the way it was in Malta, or so my father said one afternoon. Days turned into months and before long I was in another foreign country – school – and had my fair share of trials and tribulations. One set of memories I had is of fitting in. Or, perhaps, of not fitting in. Despite my Maltese heritage, and despite my best efforts to integrate, I still felt different and to some extent I was different. I had this Ladybird book of London and for me, the places mentioned in the book were not foreign at all. I still had images of Buckingham Palace in my mind and could almost taste the Wimpy burger that my Dad and I ate before going to watch the Aristocats at the cinema. Life went on and I always spoke of myself as being British rather than Maltese. I almost added ‘defiantly’ to that last sentence and I’m not sure why that emotion popped into mind but I can recall being sidelined – bullied perhaps – as a result of being different so perhaps there was an element of pride in it. And yet, I started to feel something else now. I would weave my way through the market stalls on a Saturday afternoon, keeping an eye on what the farmers were getting ready to discount and would smell chickens being roasted by the jolly red-cheeked butcher who had the stall on one end of the market and whose wife would shout at him when he winked too often at the local women. I would crinkle up my nose and think to myself, “You wouldn’t find roast chicken in a market in Malta; you’d find an endless series of Maltese snacks.” Totally unfair comparison, I know, but I used to think to myself that the snacks were far superior than plain old chicken and if I had enough time and patience I would be able to put a stand together and make money selling Maltese treats to the locals while the roasted chickens remained unsold, and there would be no one left to wink but I’d have lots of winking to do and could, perhaps, hire him as a part-time winker on Saturday mornings. And yet, I yearned to be back. I dreamt of living in London; someplace more vibrant than the quiet countryside of Suffolk. Perhaps moving to the countryside was a bad idea, I told myself. This time it will be different, I reassured myself. Ultimately, I did not end up moving back to the UK. Instead, I ended up in Belgium. Belgium is a strange country and I milk this fact on my blog on a routine basis. However, the thing about Belgium is that it is more English than Malta is and more Maltese than England is. It is jabberwocky country, with aspects from both sides of the looking glass. It is the comfort food of countries and consequently is rather appropriate for someone in my predicament. And so here I am, an expat running away from being an expat by being an expat somewhere else. I enjoy my life here, I feel comfortable … and still ask myself a key question whenever I travel to another city or country: “Would I live here?” In some cases I would and so I look forward to a life where I continue being the eternal expat. 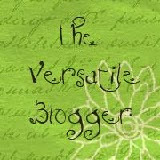 Hello Linda – thanks for the opportunity to guest post here and for the gushing praise you heap my way! Brilliant and so beautifully captures the sense of loss of one place when you move to another. How the small, almost inconsequential things are the ones that overwhelm and sadden us. Always searching, always wondering… So true about the little things being what suddenly jog a searing memory. I do not always answer “I’d love to”. New York is on my list since I find it to be a fascinating place but I found Beijing to be slightly too chaotic for me. Lisbon – and Portugal in general – is also on my list despite the language problem but I would not live in Dublin. The list goes on, of course, and I’m sure that it will grow as time passes! Thouroughly enjoyed this article. Written with a flourishing pen by someone with a big heart. Thank you. Why thank you. The Unexpected Traveller wrote a heartfelt guest post, don’t you think?